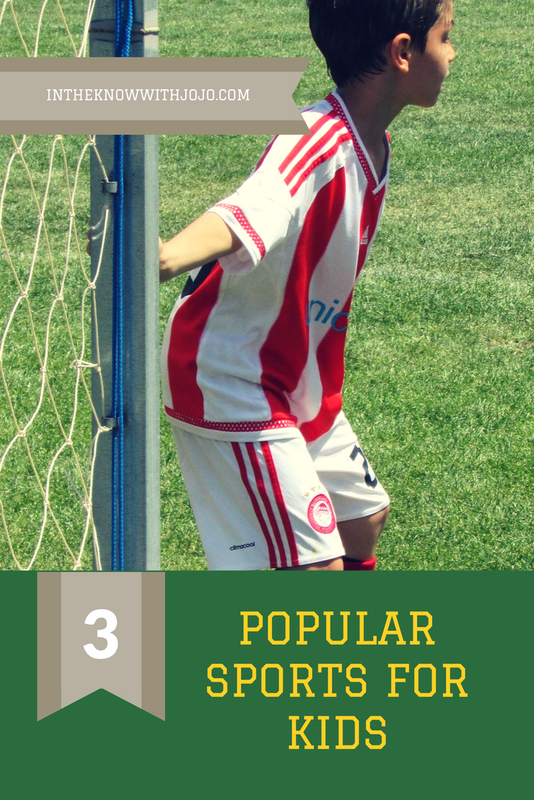 Are you looking for something fun and different for your kids for Valentine's Day this year? Give them something that will last the whole year! Sqwishland offers so many different ways for kids to play and interact on their site! Start with a free trial membership here and upgrade to the membership package best for your little ones here. The video below will explain how easy it us to sign up for a Sqwishland Membership! 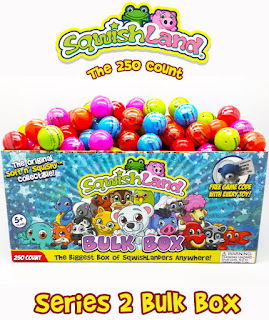 My children got to try the Sqwishland Bulk Box and absolutely love it! It comes with 250 capsules. Each capsule contains a squishy and a code to redeem online at Sqwishland.com for Sqwash and other great prizes. We already had a claw machine my children got for Christmas so they wanted to put their Sqwishland capsules in it. 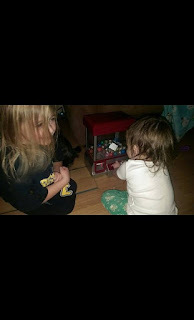 They loved winning them from their own machine and it added an extra element of fun. Sqwishland allows children to create their own avatar and begin their own little adventure from there. They can shop in the store using their codes from their Sqwishland capsules. They can also play mini games to earn more Sqwash and prizes. For the child who loves adventure they can go in mini quests. 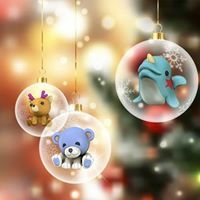 The fun for kids at Sqwishland.com is really endless. Mine play daily and love each new character they get. Some characters are more rare than others and my kids love checking to see if they got rare or ultra-rare ones. 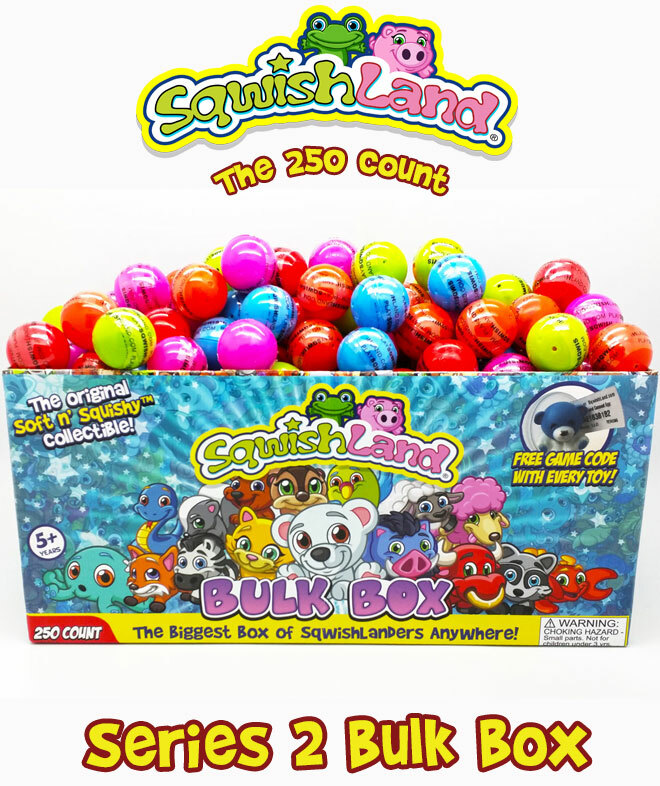 I recommend the Sqwishland Bulk Box as the perfect gift for kids! You can also purchase Sqwishland out of stores and vending machines find out where here! I have 3 kids, they would love this. I would love to win this for my nieces and nephew.